First scenario (the first chart) assumes that EURUSD’s rally from March of this year finally ended with “truncated” E of ending diagonal. In this case, EURUSD will not likely go higher than the lower blue trend line that would works as the resistance. 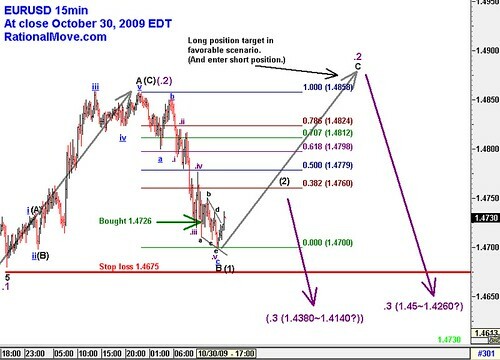 In the second scenario (the second chart), I actually learned the idea from Mr. Todd Gordon, and think the ending diagonal just marked the first peak (A), and making the way to mark the valley (B), and EURUSD will draw C-D-E, possibly peaking around 1.5084, which is high of the week of August 15, 2008. In either case, best strategy now is to be out of the market. 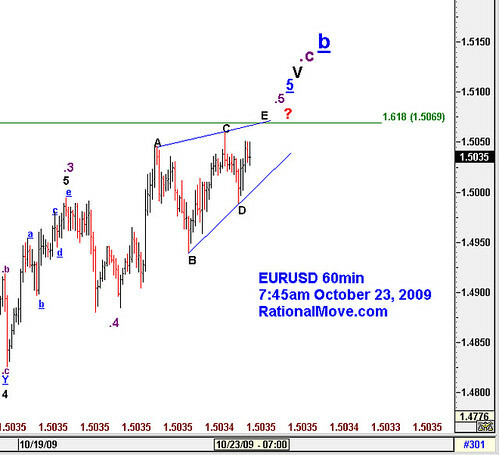 $EURUSD Be wanred of ending diagonal and 1.5069 resistance. Potential reversal. pattern towards the Fibonacci resistance line of 1.5069 that I mentioned a couple of days ago. 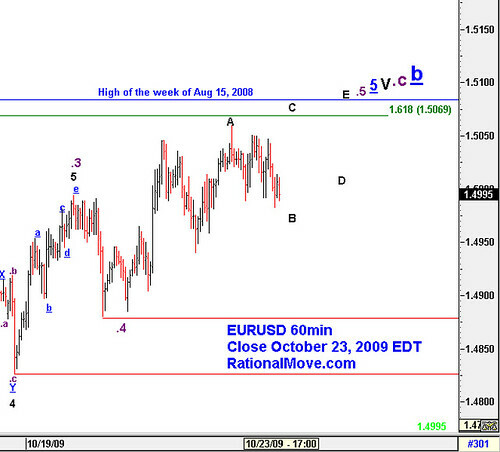 At least EURUSD should pull back to 1.4900 level after finishing this ending diagonal possibly at 1.5069. 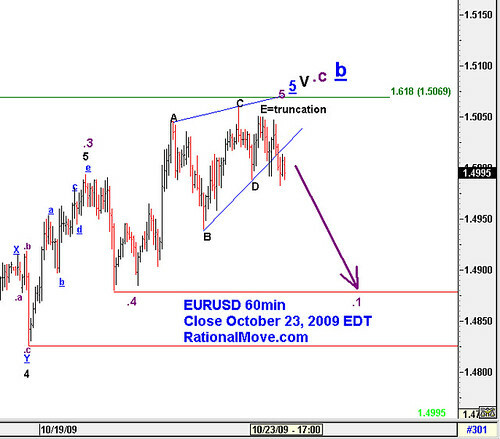 If this is really the end of bigger Elliott wave cycles, we will see a new EURUSD down trend from here towards the end of this year. Also I recommend you too watch Mr. Todd Gordon’s Strategy of the Day video for other currency pairs. So, I keep my position flat, and watch what happens.